By popular request, Rosalynn and Joan have added another edition in the Cellobrations series! 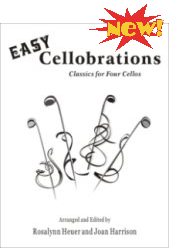 Easy Cellobrations offers 16 pieces for 4 or more celli. Most parts can be played in first position with occasional parts going up to 4th position. 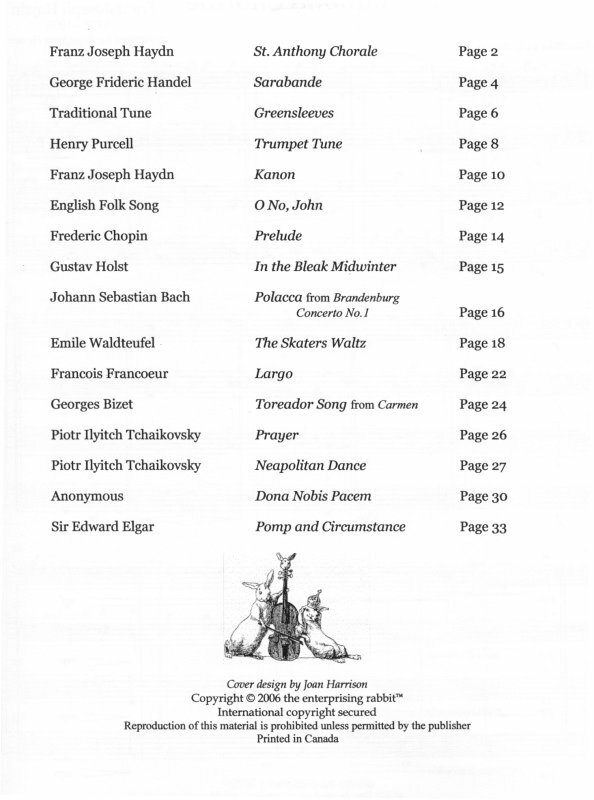 As in the other Cellobrations books, parts are evenly distributed among the players and a score and individual parts are included. Along with arrangements of well-known compositions such as Elgar's Pomp and Circumstance, Handel's Sarabande, Bizet's "Toreador Song" from Carmen, and Haydn's St. Anthony Chorale, you will find several gems such as Holst's In the Bleak Midwinter and Greensleeves. Practice tips coming soon. 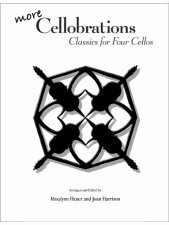 Cellobrations: Classics for Four Cellos contains 12 selections that include themes from Handel's Water Music, Faure's Pavanne, "Masterpiece Theatre", Merry Widow Waltz, Caro Nome, from Verdi's Rigoletto, and "The Christmas Concerto" by Corelli. Playing levels vary from advanced beginner to professional and parts are evenly distributed for interest. 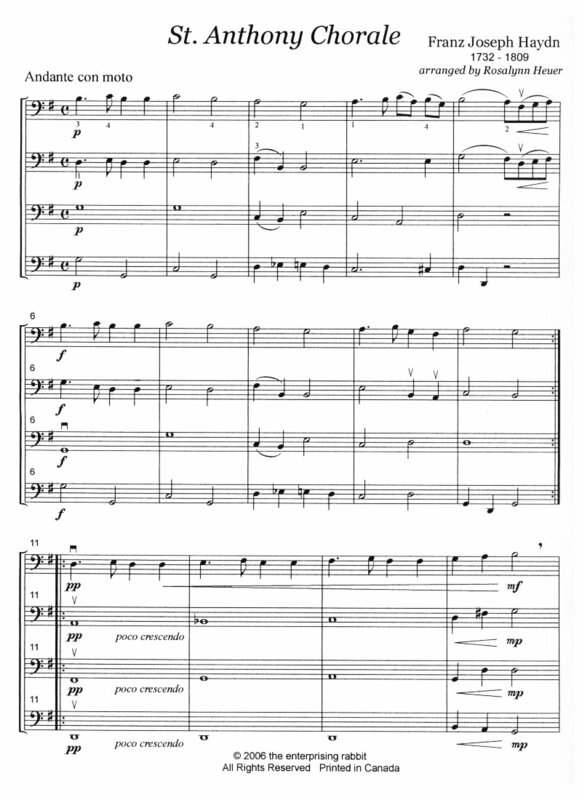 Full score and 4 parts. 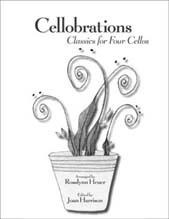 More Cellobrations: Classics for Four Cellos offers 11 best loved works including Barber's Adagio for Strings, Beethoven's Ode to Joy, Dvorak's Bagatelles, Habanera from Carmen, The Pine Cone Rag, Blue Tango, and more.